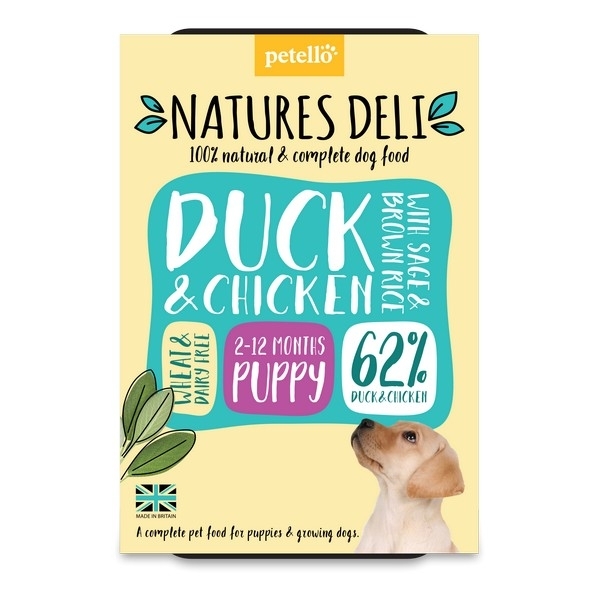 Natures Deli Duck & Chicken with Sage & Brown Rice for puppies. 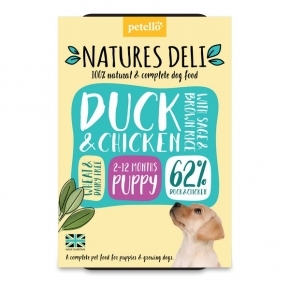 Duck 31%, Chicken 31%, Carrots, Peas, Brown Rice 4%, Salmon Oil, Minerals, Chicory Root (Prebiotic FOS 0.2%), Sage 0.1%. Crude Protein 12%, Crude Oils & fats 11%, Crude Fibre 1%, Crude Ash 4%, Moisture 70%. Calories kcal 153/100g.